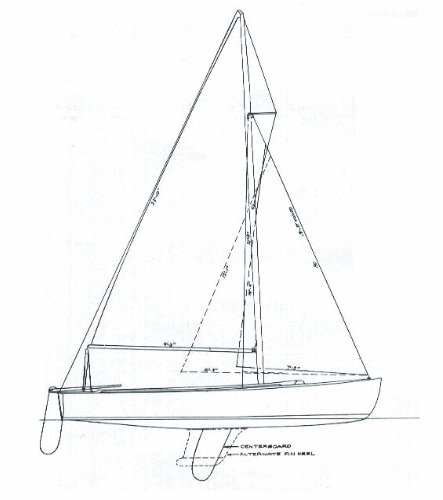 The Rhodes 18 was originally designed as a centerboard boat, but is also offered in a keel version today. 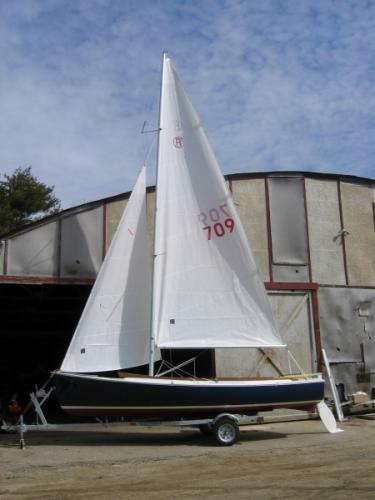 The centerboard model is a wonderful option if you sail in shallow waters. The keel model provides more stability and added cockpit space without the centerboard trunk. Both models sail quickly yet remain easy to maneuver. They have room for five adults but sail easily with two. The Rhodes 18 is an ideal family daysailer with her simple arrangement. Sail Area 162 sq. ft. Weight Keel Model 920 lbs. Weight Centerboard Model 800 lbs.